If you haven't looked at the Windows utilities landscape lately, you're in for a big surprise. 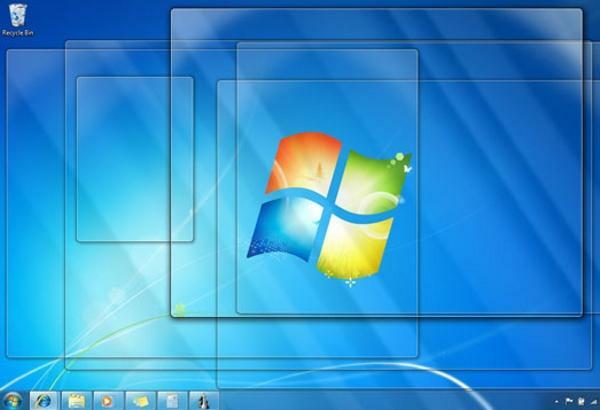 Many of the old favorites have changed, bringing new features to Windows 7, as well as XP. Others have fallen by the wayside, replaced by upstarts that deliver meaningful functionality that once cost big bucks. But where to begin? After all, there is almost no end to the number of tools offered for Windows desktops. To help guide you on your quest to find the best free tools available for Windows, I poured through reviews, sifted through hundreds of websites, and canvassed Windows-savvy customers and colleagues to see which products actually help Windows users work faster and free up time for more important things in their business day -- and in their lives. I've boiled the recommendations down to 15 utilities that belong in every Windows user's bag of tricks. They're all free for personal use; many are free for corporate use as well. Even if you figure Windows does everything you need, take a minute to see if something here tickles your fancy. Unless you run Windows inside a locked Faraday shield, I bet you'll find a program or two that'll make your life easier. Here's how hard it is to transfer files from computer to computer to phone to the Web, and keep them all updated: Install Dropbox on your computer (Windows, Mac, Linux) or mobile phone (iPhone, Android, BlackBerry), then drag any file you want to share to the box. Dropbox takes care of the rest, automatically copying the files in the designated dropbox folder onto dropboxes on all of the linked computers and phones, and leaving an additional copy on the Web, where you can access your files through any Web browser. Of course, usernames and passwords are required, and computers and phones are updated only when attached to the Internet. But once Dropbox is set up, you can stick your files in this one common location and have them magically replicated almost anywhere. You can even set up "public" dropboxes and send the Web address to friends, who can then look in your dropbox. Microsoft's free SyncToy originally appeared as part of the Windows XP PowerToy package. While most of the old XP PowerToys passed on to the big bit bucket in the sky, SyncToy has been improved regularly. The latest version takes advantage of Ray Ozzie's Sync Framework. SyncToy 2.1 has been around for almost a year, and it works amazingly well. * Synchronize: New files, along with files that have changed since the last Synchronize, are copied between the Left and Right folders. If a file has been renamed or deleted in one, it's renamed or deleted in the other. * Echo: New and changed files are copied left to right, with renamed and deleted files on the left renamed or deleted on the right. * Contribute: Same as Echo, but deletions on the left are not deleted on the right. Over the years I've used many programs to retrieve software license keys, identify hardware, measure temperatures, and fan speeds; run down memory chip details; and monitor CPU and network loads. Now, finally, I've found one program that does it all -- and cleans my glasses. There are hundreds of individual entries, all neatly arranged with a tree on the left of the screen.